The South Bay has dozens of local running groups so if you are just getting started, looking to make new friends, or perhaps training for your first marathon, be sure to check out some of these local groups! A nice gathering of local runners, the Tuesday night group is the largest of the three group runs and often heads to the Redondo Beach Brew Co. after a nice long run. See local running routes page for details on this groups’ runs. “Club Ed is a running club whose goal is to help runners of all ages and fitness enjoy the sport of running at all levels of speed, experience, and talent. It provides organized venues for members to train and experienced guidance to help runners of all levels improve. With a low-key approach to personal improvement fueled by each runner’s individual motivation, the club provides a way for new runners to meet other local runners, discover new places to run, and to learn and practice better ways to train. It also encourages support of the local running community by helping out at local races and encouraging members to challenge themselves through periodic racing.” Club Ed leads runs every day of the week so be sure to check out his website for more details. Whether you’re brand new to running, your ran cross-country in college, or you simply enjoy running with other like-minded mamas, Run Club is for you. It’s a program for all levels, allowing you to run, improve your health and fitness, and connect with other moms. This program is designed to correct running form and increase speed, agility, and endurance. No running experience required! Interested in running a half marathon or marathon but don’t want to commit to raising thousands of dollars for a charity? Check out LA Roadrunners for a great training program at a very affordable cost. “With three locations, the LA Roadrunners Training Program is designed to get runners from the couch to the Finish Line of the 2012 Honda LA Marathon. 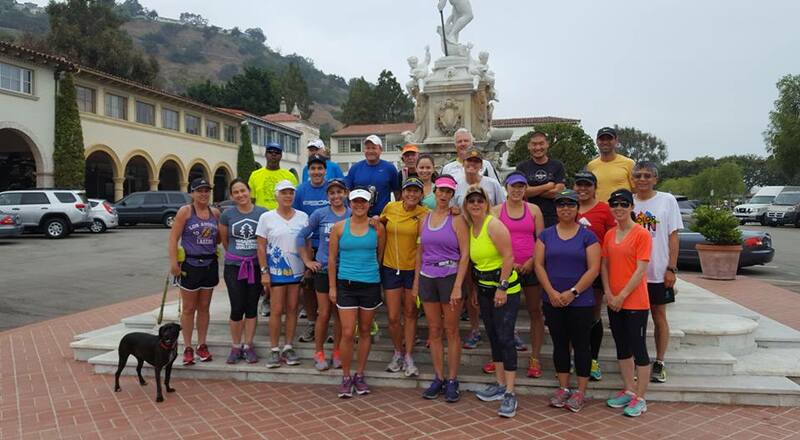 The LA Roadrunners in Venice and Westlake Village meet every Saturday morning at 7AM, and in the Inland Empire at 8AM. Offering more than 20 pace groups ranging from 8 to 16 minute miles, the LA Roadrunners has a place for every runner, regardless of previous running experience. Under the direction of Coach Rod Dixon, winner of the 1983 NYC Marathon, the LA Roadrunners combine training with an educational program to help participants overcome challenges and fulfill their goals. “The Leukemia & Lymphoma Society’s Team In Training (TNT) is the largest endurance sports training and fundraising program in the world. With TNT you will realize your dream of completing a marathon, half marathon, triathlon, hike adventure, or long-distance bike ride. 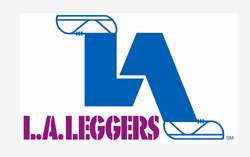 L.A.LEGGERS is a non-profit, volunteer-run organization. Our membership includes runners, walkers and volunteers with diverse backgrounds and experience. The organization offers members training and an educational program that enables individuals to attain their own personal goals and objectives. By following our training program, ordinary people can complete an extraordinary challenge – finishing a 1/2 or full marathon. Are you looking to train for a half or full marathon? Meet at Malaga Cove in Palos Verdes and run with the PV Runners. You’ll be met by a group of smiling, outgoing runners who will help push you through all the miles! The group leaves at 7:30am. For more information on their runs and the group, check out their Facebook page listed above! This is an excellent group for beginner runners! A local running club for moms – It doesn’t matter if your a walker or a runner…someone who has never raced before or a marathoner. All paces are welcomed. This group of running mamas also picks a different challenge every month to keep everyone motivated throughout the year! Check out their Facebook page for more information. 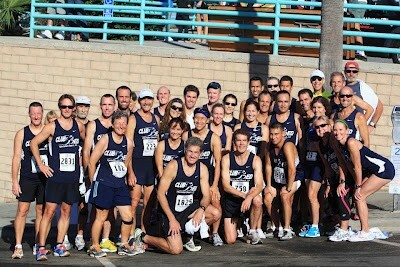 The South Bay Runners Club is a 501(c)3 organization with 2 USATF Level 1 and 4 RRCA Endurance Certified Running Coaches. Whether you are looking to reach a particular goal or just in the mood for friendly conversation, come run with us! 1. 7:30am Sunday mornings for a run or walk at Valley Park in Hermosa Beach near the parking lot. 2. 7:30pm Tuesday evenings for performance enhancing speed and track interval workouts at the Mira Costa High School Track in Manhattan Beach. 3. 6:30pm Thursday evenings at Skechers in downtown Manhattan Beach for a 5-mile or 5K run or walk. You can find more info on our run club at the following website. Have I missed a local training group? Please email me at villagerunnerevents@gmail.com with details and I will be sure to update our database promptly! Thank you for stopping by and good luck!